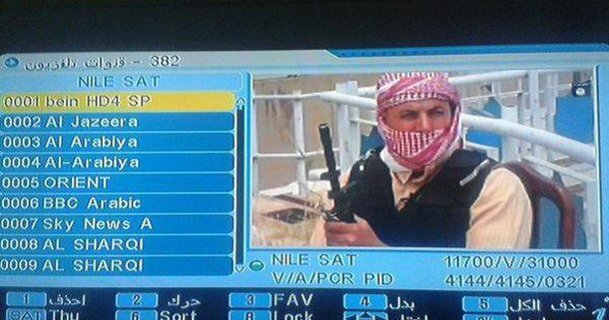 Is it possible to run your own satellite TV channel with a very low budget? If you need a licence depends on your local laws, so I can't say, but in the UK you do need one and you also have to meet certain broadcasting laws and regulations in relation to the content that you broadcast. You can't just set up a channel and do whatever you like because there are certain laws designed to protect the public. You need someone to transmit the signal, TV signals are generally broadcast in what is called a multiplex (which is several services broadcast on the same frequency). In order to join a multiplex you need a relationship with a multiplex operator (not the satellite operator but sometimes satellite operators do provide uplink and multiplexing services). It is possible to broadcast "single channel per carrier" (SCPC) where you don't join a multiplex but this is harder to receive (electronics/physics thing) and you need more bandwidth (cost problem). There is no free bandwidth... ever. Satellites cost hundreds of millions of dollars to build and launch, they cost a lot of money to maintain and so the business of working with satellites will always be expensive. If you have a fantastic business case then someone might discount you for a period or help finance the business but frankly if you can't afford to start you probably can't survive. You need a business plan which shows revenue and you need to find an investor like any other sensible business, making losses for the first year or so shouldn't put an investor off if you have a solid proposal for making money in the long term. If you don't operate a live channel and only operate from a limited, pre-recorded schedule of content then you will save a lot of money in communications links and other associated equipment. These days a few thousand dollars will buy you a reliable server with play-out capabilities to get you started. You can then place your play-out server in the multiplex operators equipment area to shorten the distance between your content and the multiplex. You can then take a hard disk to the operator and update your content as often as they will allow, or you can get a decent remote connection and upload content.